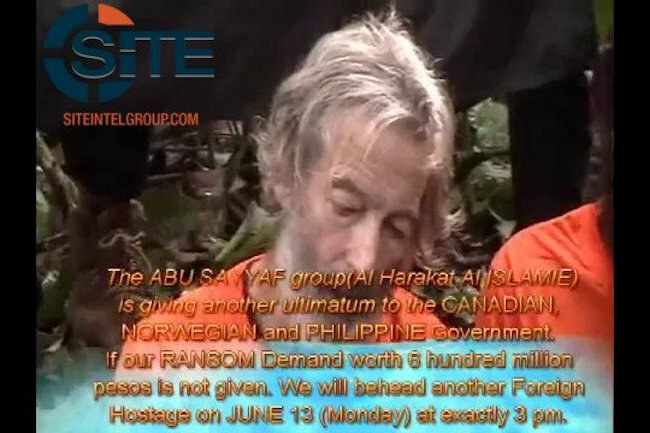 In a video posted Friday and found by the SITE Intel Group over the weekend, Abu Sayyaf says it will behead Canadian hostage Robert Hall or a Norwegian hostage if it doesn’t receive the ransom payment by June 13 at 3 p.m. 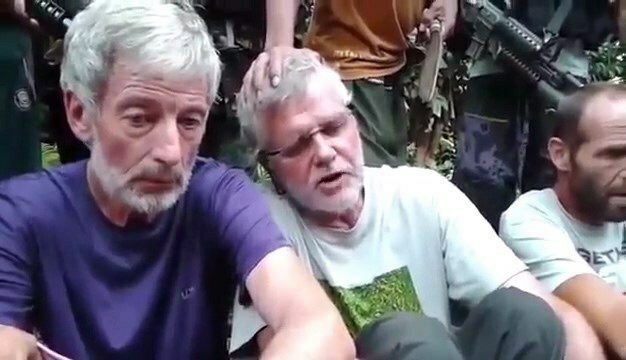 The video comes approximately three weeks after the Jihadists beheaded former Calgarian John Ridsdel, who had been held hostage in the Philippines for seven months. Ridsdel, who was captured at the same time as Hall, was killed shortly after a similar ransom demand was not met. Robert Hall (left) and John Ridsdel are seen in a still image taken from an undated militant video. Canada and the Philippines both have a no-ransom policy. At the time of Ridsdel’s death, Prime Minister Justin Trudeau said he was “outraged” at the news. “This was an act of cold-blooded murder and responsibility rests squarely with the terrorist group who took him hostage,” Trudeau said in a statement. Trudeau told reporters that paying ransom to terrorist groups would help finance their activities and encourage extremists to take more Canadian hostages.